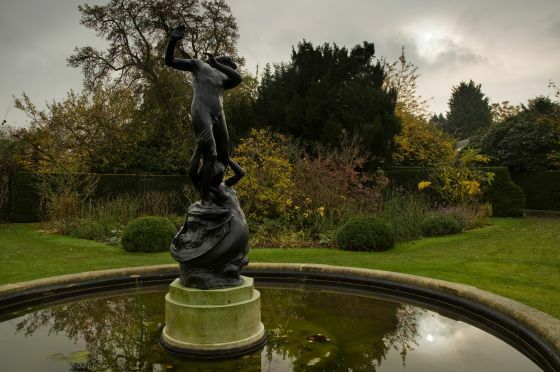 Hylas and the Nymph is a Grade II listed, bronze statue of a boy and a mermaid on a stone pedestal set in a stone-rimmed pond. It stands in St. John's Lodge Garden, northeast of the Inner Circle. This statue was donated by the Royal Academy of Arts in 1933 and designed by Henry Pegram. In Greek mythology, Hylas was one of the Argonauts, the heroes who accompanied Jason on the quest for the Golden Fleece. During the journey, Hylas was kidnapped by the nymph of spring and never seen again.